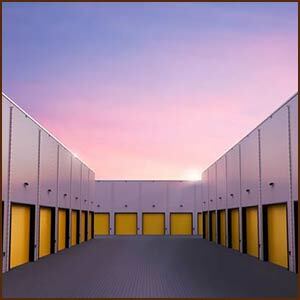 Commercial facilities choose Express Garage Doors over our competitors for their garage door needs. We have provided quality service to an array of business clients throughout the San Diego, CA. We work to address the individual needs of your business, from super strength industrial doors to high-tech options offering increased security for garages with sensitive equipment or areas. We have an option that will work for your business. Express Garage Doors surveys each commercial property, ensuring we find the right choice for the type of business you conduct. Our commercial garage door specialists will help you make selections that will enhance your commercial facility and meet all your needs. We offer high-quality materials and stay up-to-date with the latest designs and systems. Our business customers rely on us with provide the highest quality service. Call Express Garage Doors for any repair or installation at your place of business. Express Garage Doors provides the most outstanding products made with the finest materials available. Each door we sell is Express Garage Doors is strong and built to hold up against high usage for years. They are designed to run smoothly for years to come. We strive to provide lasting maintenance of your commercial garage doors to keep them in working order well into the future. Our impeccable service and products make us the one to call in San Diego, CA for your commercial garage door needs.